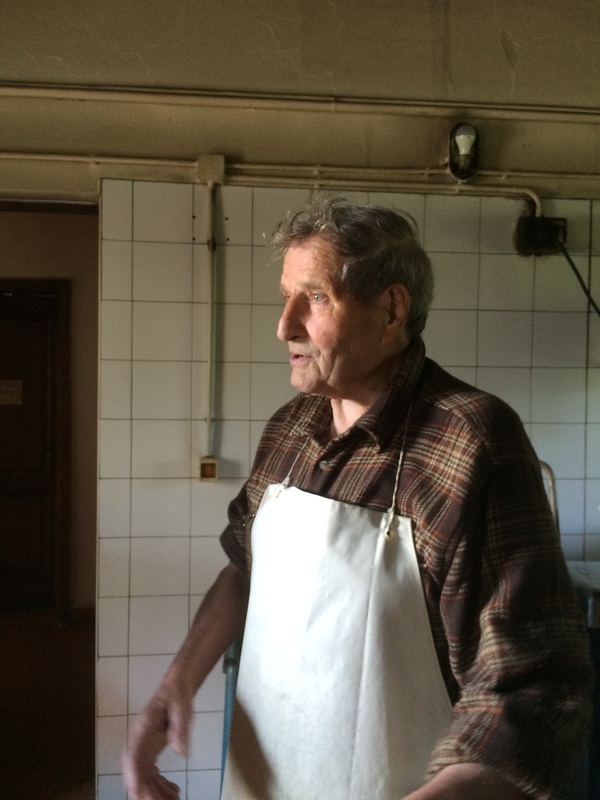 Tales, Happenings, Observations, and Reflections on Cycling, Culture, People, and Places, in Italy’s Veneto Region. 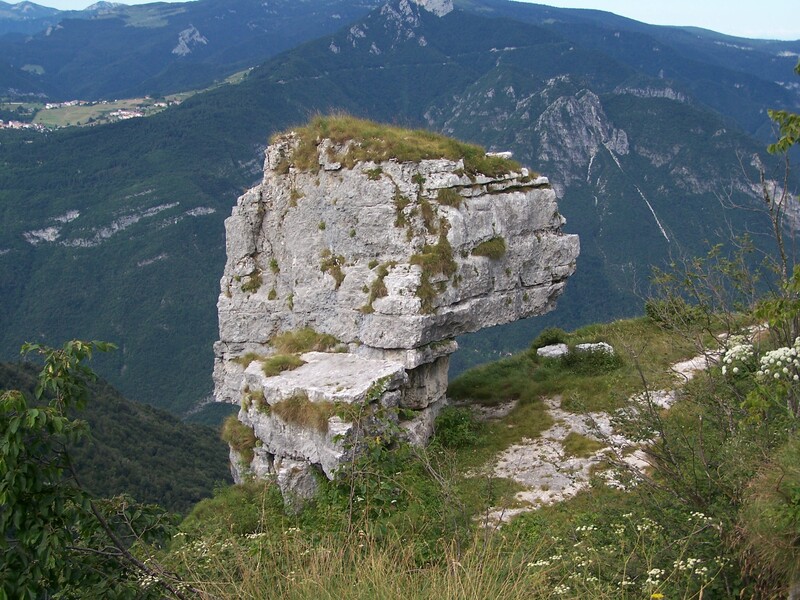 On the west side of the Altopiano dei Sette Comuni, on a sheer precipice high above the Astico River, stands a forbidding rock formation known as the Altar Knotto. Its vertiginous position and singular appearance have spawned eerie legends of human sacrifices. While there may be no truth to the legends, there were sacrifices nevertheless: not to pagan deities, but by civilized nations who, incited by nationalistic fervor, sent their youth to the slaughter. 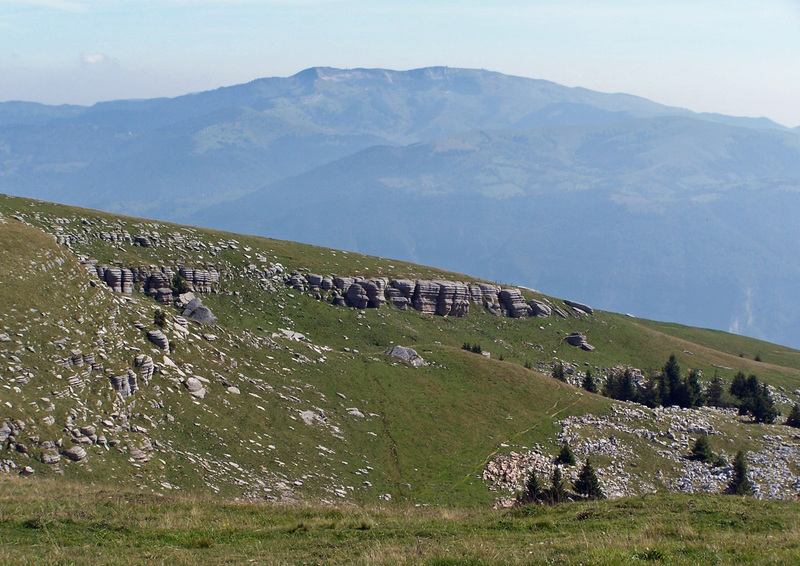 The Plateau of the Seven Municipalities (more commonly–but incorrectly–known as the Asiago Plateau), is a serene, inviting, 1000-meter-high realm of dark fir forests, lush pastures, deep, steep-sided valleys, and rugged mountains that rise to over 2000 meters. It’s a place of contrasts, mysteries, and anomalies: if this is the Veneto, why do so many places have German-sounding names: Kaberlaba, Kemplen, Sprunk, Tiffgrube? Why are there no castles? Or Venetian villas? Why are there no centuries-old buildings and churches, as in the rest of Italy? Why is surface water a rarity? 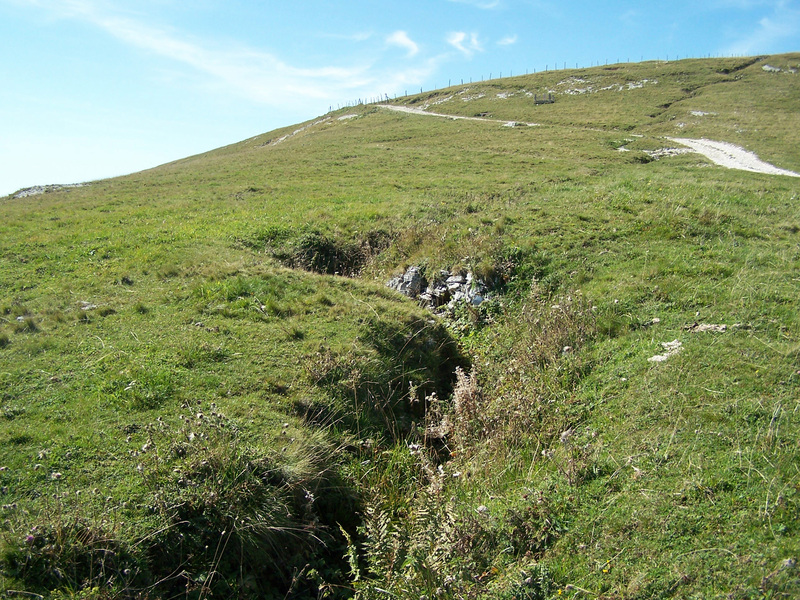 Why are there so many ditches and depressions in the pastures? Various peoples have lived on the plateau since prehistoric times, but it has always been sparsely populated. Around the year 1000, Bavarian settlers known as the Cimbrians (Zimbern in their native tongue) began to arrive. Their population grew and expanded, and with time, their culture, language, folkways, and traditions became those of the entire plateau. It was they who began raising sheep and making cheese. After 500 years, they began substituting the sheep with cattle. Thus the cheese making tradition which has made Asiago world famous is 1,000 years old! In 1310 they established an autonomous and democratic government, said to be the oldest federal state in the world. As the Cimbrians were able woodsmen and the Serene Republic of Venice needed wood for its ships, an alliance was formed and the plateau’s inhabitants were permitted to retain their independence and home rule. Transporting logs from the top of the plateau to Venice was an arduous and perilous undertaking. They were brought down from the plateau on a remarkable path built at the end of the fourteenth century, the Calà dal Sasso (the Descent from Sasso, the town at the top), which consisted of 4,444 steps hewn into the rock. Alongside the path ran a smooth channel for sliding the timber. After arriving in the town of Valstagna, the logs were fashioned into rafts and piloted by intrepid zattieri (raftsman) down the Brenta River to Venice. The very northernmost part of the plateau was (and still is) in the Trentino, which had also been part of the Venetian Republic, as had Trieste. But unlike the Veneto, they were still ruled by Austria, Italy’s ally in the Triple Alliance. Why then were both Italy and Austria building forts along their common border? It was an ominous portent of things to come. “Trento and Trieste,” was the rallying cry of Italian nationalists who wanted to reclaim territories that they believed were historically, rightfully, Italian. Industrialists saw the potential for huge profits. War seemed inevitable. 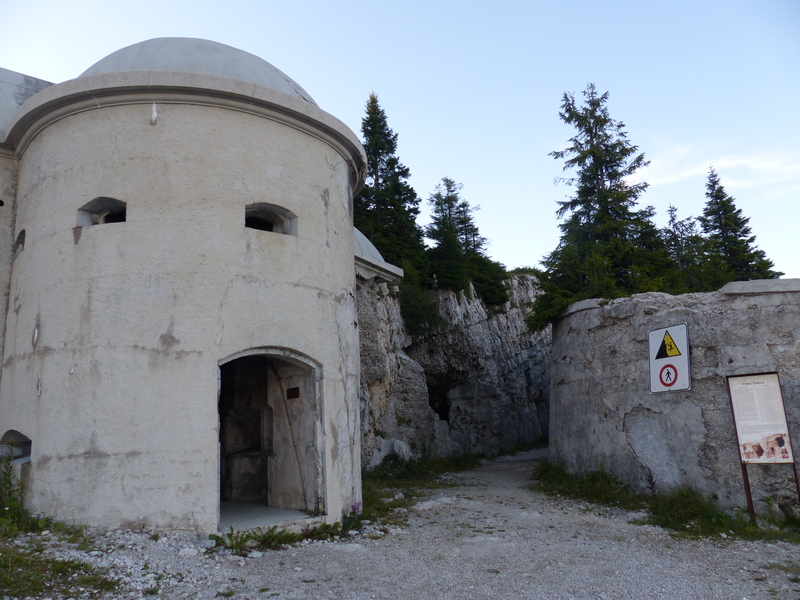 At 4 am on May 24, 1915, the Italian fort on the summit of Monte Verena, 10 km northwest of Asiago, fired upon the Austrian Fort Verle, far below and just over the border. The Great War had begun. 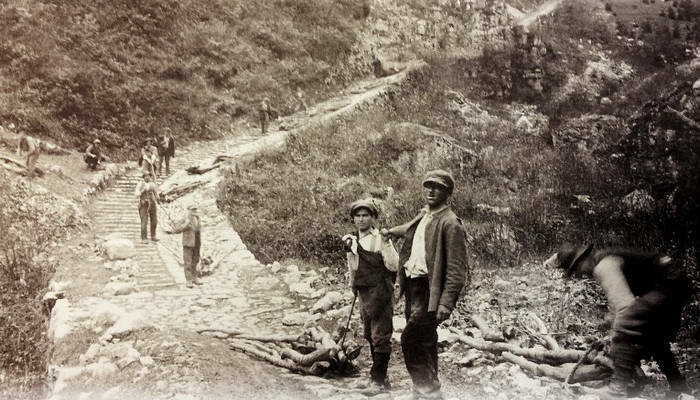 From that day on until the Armistice in November 1918, the Altopiano dei Sette Comuni knew nothing but war, a tragic distinction shared by no other war zone in the Veneto and Friuli regions (where the war was primarily fought). Forte Verena. An Austrian shell exploded in the magazine and killed 40 men. 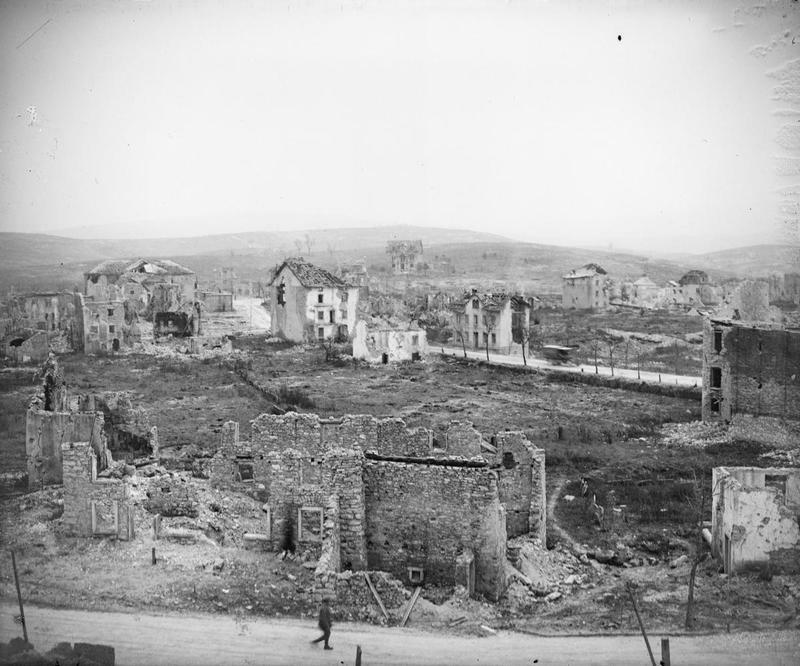 The war of the forts (in which all of both sides’ forts were either destroyed or rendered inoperative) was followed in 1916 by the so-called Strafexpedition: Austrian troops invaded from the north, shelling and totally destroying Asiago, Gallio, and all the other other towns on the northern part of the Plateau. If they could cross it, they would be able to descend to the plains, where there would be no more natural defenses to stop them, and Italy would be theirs. The ensuing Battle of Asiago was at the time the largest and highest mountain battle ever fought. The inhabitants of the plateau had to flee from their homes, and became refugees who were taken in by caring citizens for the duration of the war. 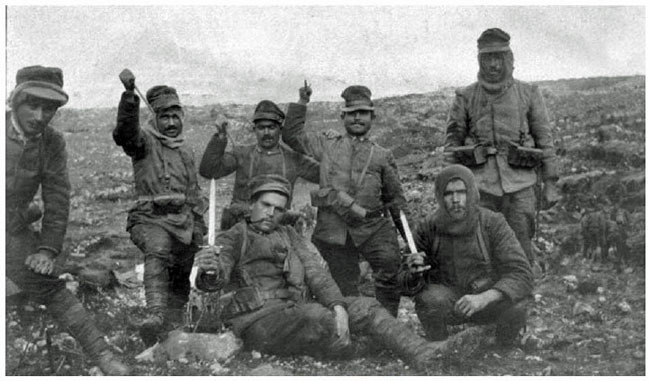 The terrible year of 1917 brought the Battle of Ortigara, with its brutal assaults that cost the lives of 28,000 young Italian soldiers and those of 8,000 Austro-Hungarian troops. 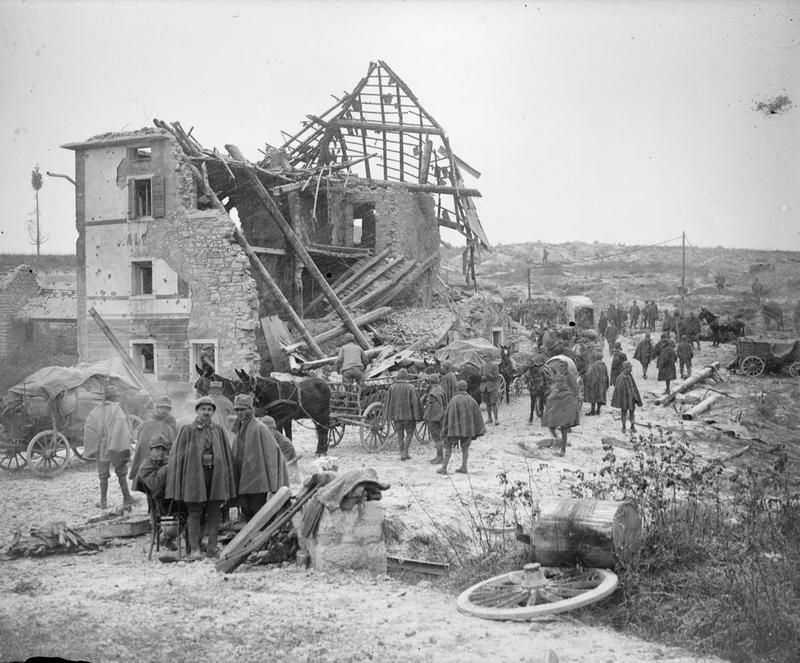 From November of that year until January 1918, the attacks and counterattacks went on uninterrupted. With work nonexistent and their traditional activities impracticable, desperate families had no choice but to take up the grueling, dangerous work of recuperanti (salvagers). They scoured the trenches, bunkers, outbuildings, woods, and pastures in search of articles of brass, lead, copper, and iron, to sell to scrap dealers. Bombs and shells sometimes exploded as they were being dug up or disarmed, maiming and killing the recuperanti. But with time, towns were rebuilt, forests regrew, pasture land was reclaimed, and the people of the plateau gradually returned to some semblance of their lives before the war. They also saw the potential in a new source of income: tourism. Today, golf, tennis, shopping, adventure parks, bungee jumping (off one of Europe’s highest viaducts), museums, ice hockey games and ice shows, concerts, festivals, Christmas markets, and other tourist attractions draw visitors; the real star attractions, though, are nature, and of course, cheese!—the only cheese that can rightfully and legally be called Asiago. 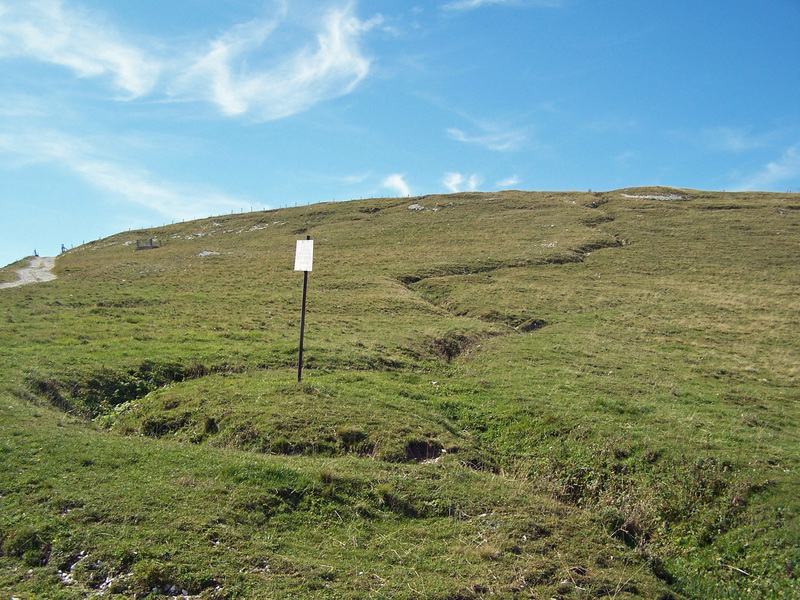 Visitors eager for genuine aged Asiago happily traverse the rough, rocky roads to the far-flung, rustic malghe (dairies). 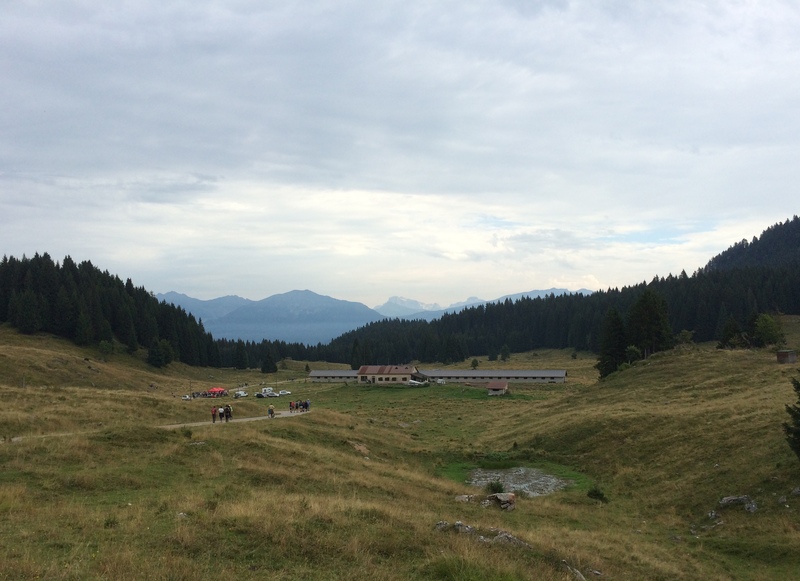 One of these is Malga Porta Manazzo, altitude 1800 meters, where the legendary Toni Rodeghiero, now in his early 80’s, carries on the millenium-old cheese making tradition. 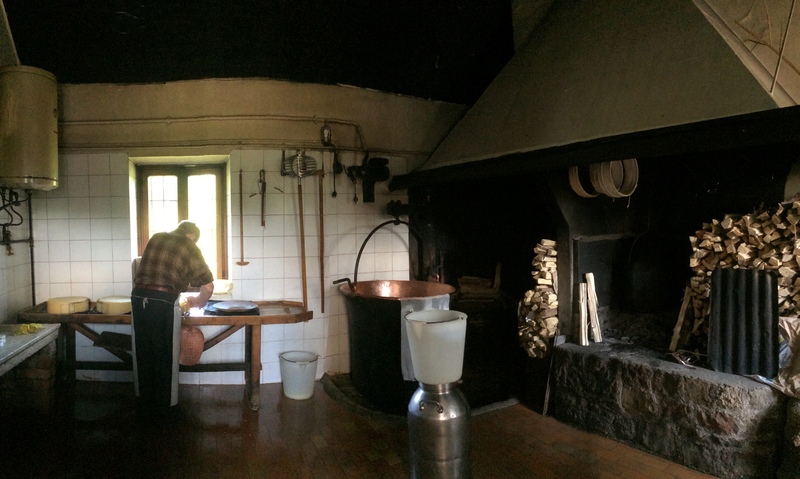 He crafts his product not by recipe or formula, but by feel, heating the milk on an open wood fire in a copper cauldron that once belonged to his grandfather. Like a number of other malghe, Porta Manazzo not only sells cheese, but offers simple meals of local dishes, such as polenta and soppressa, in a simple setting. Visitors should not expect to find eateries that are charmingly decorated to please tourists; malghe are working dairies, with all that entails. Actually, many look rather run down or makeshift, which is part of their authenticity. Artisan cheese, like wine, embodies the concept of terroir, and once you’ve sampled genuine Asiago cheese from a malga, you will never again accept imitations. 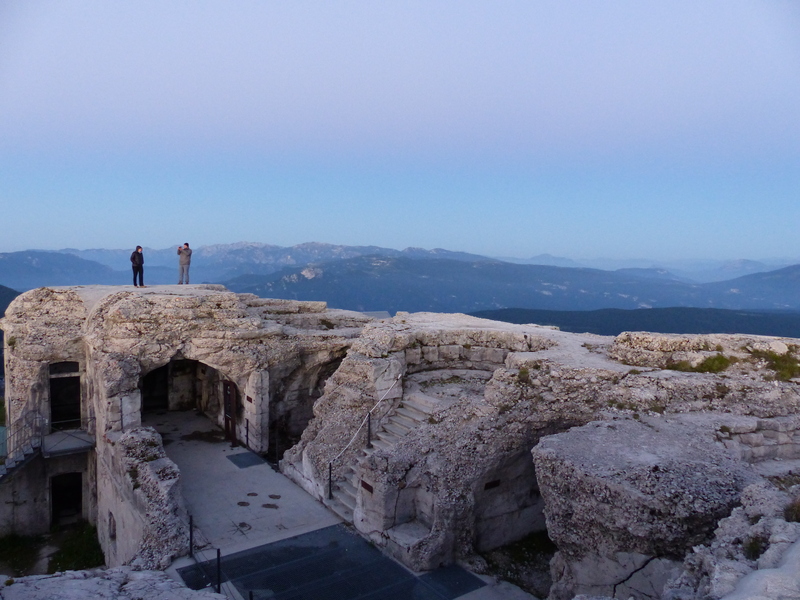 The City of Rock on Monte Fior, above Foza, with Monte Grappa in the near distance. 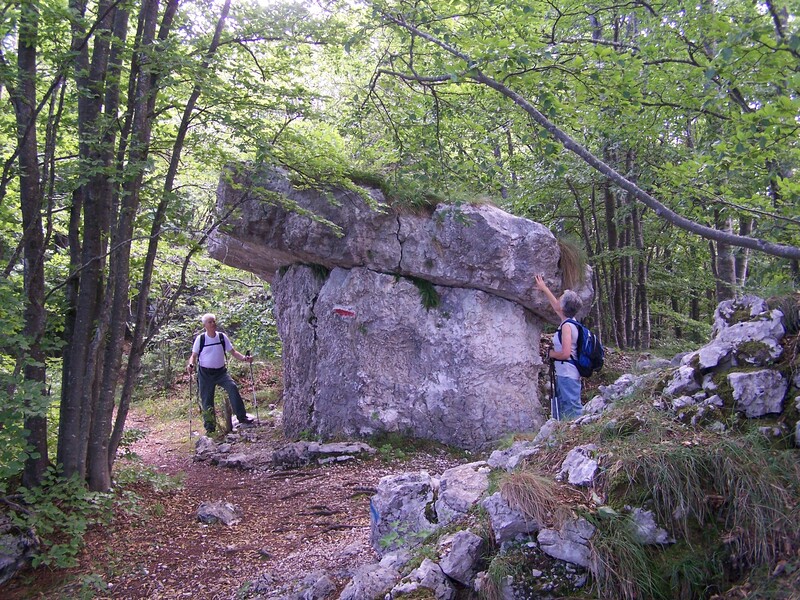 Hikers trek up and down the Calà dal Sasso, where woodsmen once made the grueling descent to the valley (at least one mountain biker has climbed the entire path non-stop!). They criss-cross the plateau to visit the sites of The Great War, and go in search of the secret geological oddities hidden in the dark woods: the Tanzerloch, where witches were seen dancing an obscene dance with the devil, the Stonhaus, home of the ogre, and the Castelloni di San Marco, an astonishing natural labyrinth of rocks and boulders, where you almost expect to see gnomes and elves peering out from between the monoliths. The Città di Roccia (City of Rock) on Monte Fior, above Foza, is an amazing expanse of stratified rock formations likened to little skyscrapers. 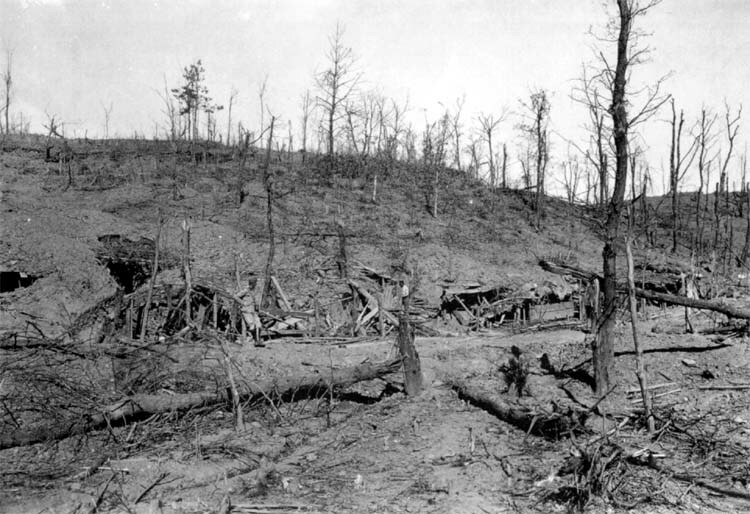 (It is still lined with trenches and pitted with craters). 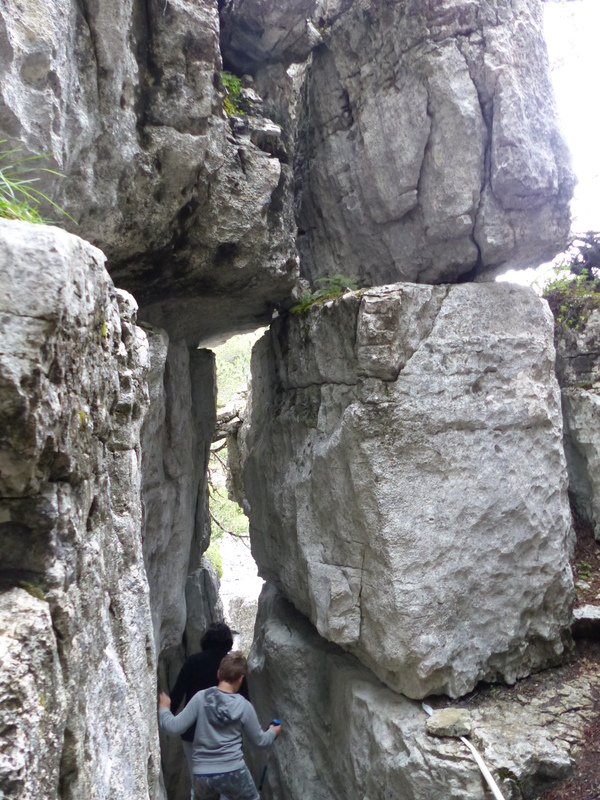 These geological wonders, as well as the lack of surface water, are the result of karst processes: rain and melting snow don’t collect on the surface, but seep into the porous limestone rock, dissolving it and creating bizarre rock formations, sinkholes and caverns. Over 3,000 caverns have been explored, with the deepest extending down 1,000 meters! In the winter the hikers don snowshoes, and cross-country skiers converge on the plateau’s numerous ski centers, where they enjoy gliding swiftly and silently through the forests and around the Marcesina plain (the coldest locale in Italy). 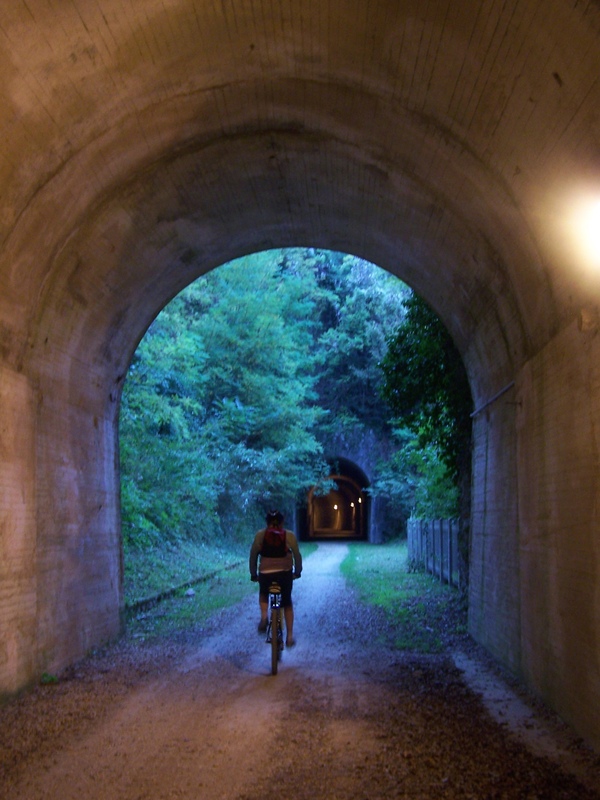 Mountain and gravel bikers flock to the plateau to explore the 500 km of unpaved roads and trails, including a rail trail that was the right of way of a cog railroad that once carried passengers, freight, and wartime supplies between the Astico Valley and the town of Asiago (which explains the existence of the train station at the finish line of 2017 Giro d’Italia Stage 20). 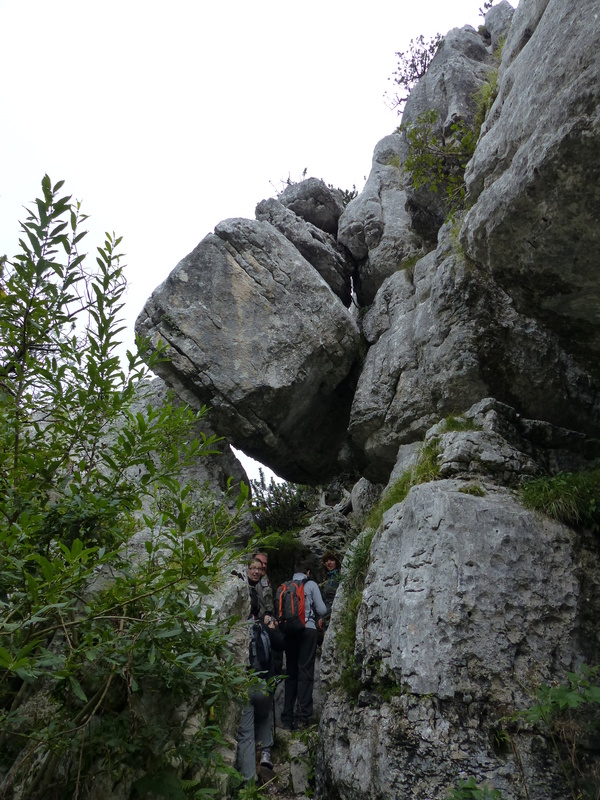 They ascend to Monte Ortigara, on those same roads trod by weary men on their way to battle. 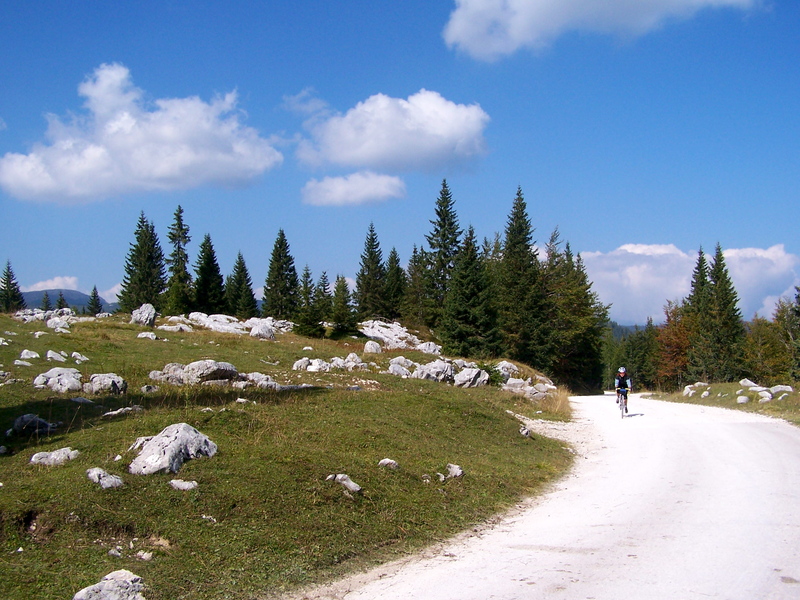 Road cyclists test themselves on challenging climbs that ascend the plateau from all four directions: Barricata, a road left uncompleted by Austrian military engineers and asphalted only in 2007 (descending it is so dangerous that it’s forbidden); the Strada Pedescala, the Menador, and Valstagna-Foza, the final climb of the 2017 Giro d’Italia. It starts where those long-ago woodsmen completed the first leg of their journey to Venice. 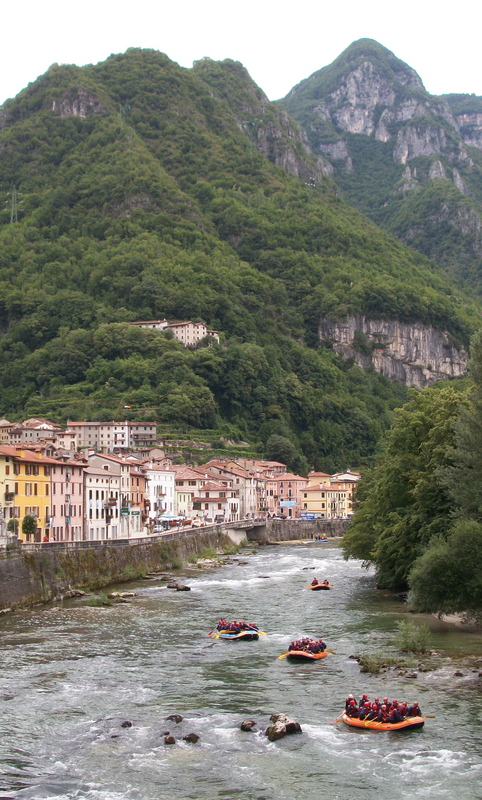 Their log rafts have given way to rubber rafts and kayaks (the town is the home and training ground of two Olympic kayak gold medalists), but the zattieri are remembered each July with the Palio delle Zattere, a raft race down the Brenta River between the ten contrade of Valstagna. 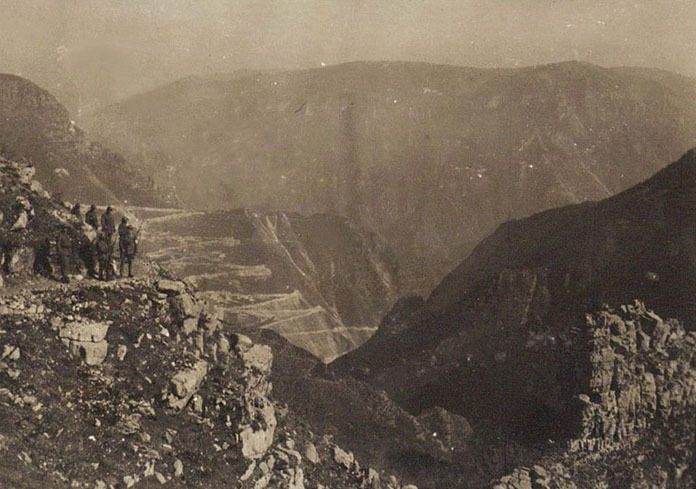 The vertiginous, austere, and lonely road from Valstagna to Foza was built by Italian army engineers in World War I as a route for supplies and reinforcements. Today it’s known primarily as the “the university of rally,” and is the queen stage of the annual Bassano Rally, which draws thousands of spectators (though none are allowed past the starting point due to the danger). It’s not a difficult climb: 14.4 kilometers long and 941 meters of vertical gain, with an average gradient of 6.5%, and a maximum of 10%. There are no views of distant horizons to distract or inspire you, and few if any motor vehicles, only an almost disquieting silence. You hear no sounds of thundering cannons and rattling machine guns, nor footsteps of men marching into battle, nor the cries and prayers of the wounded and dying. But they are there. But for one day in May, a road built for war becomes a road of peace, gaiety, and fellowship, where fans of many nations stand shoulder to shoulder to delight in the passage of the colorful caravan and cheer for each an every rider, regardless of his nationality, color, or creed. This is cycling. 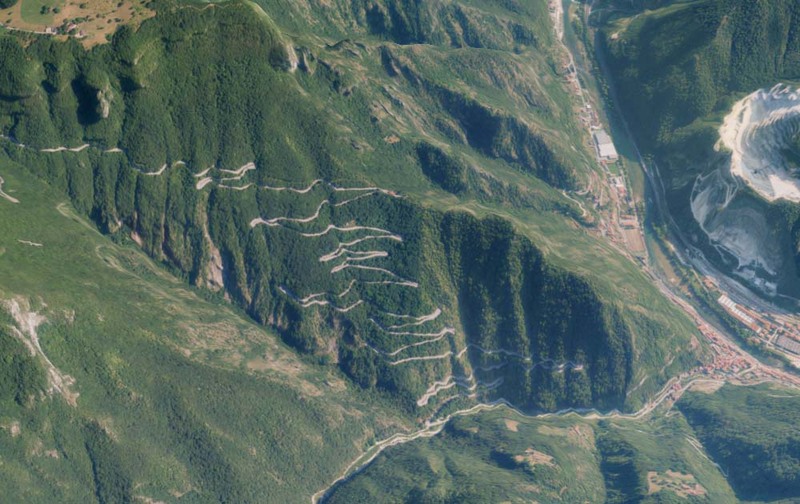 As the riders of the 2017 Giro d’Italia round the last curve, they will have no chance to raise their eyes and take in the mountain towering above Foza: Monte Fior, where the gallant Sardinian troops of the legendary Brigata Sassari sacrificed all, and where the spirits of the fallen ask but one thing: Remember us. This entry was posted in Bicycle Races, Giro d'Italia, Hiking, History, Places. Bookmark the permalink.